The cards are playing card size, professionally printed with a glossy finish. The paintings for the cards were created using watercolors, acrylics and inks, the artistic process is described on Driscoll's website. 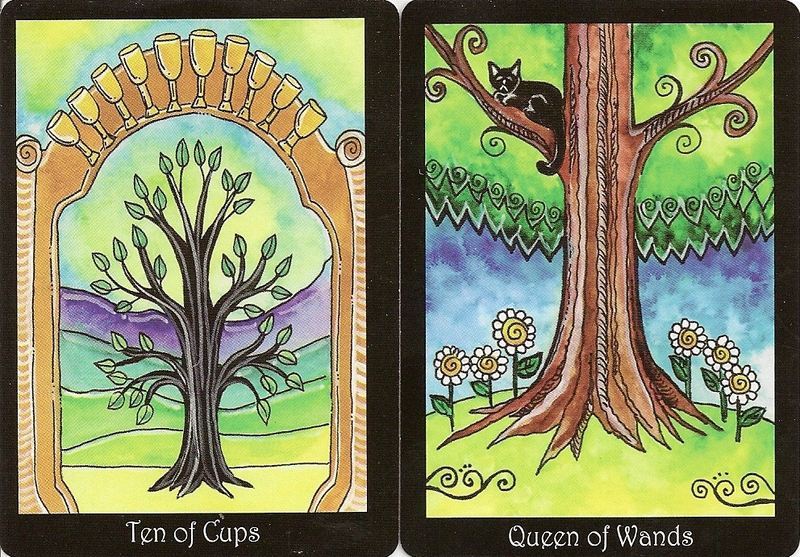 The Tarot of Trees is an RWS deck with trees instead of people. 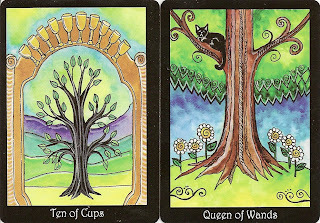 There is not a single human in this deck and only four animals (a raven on the Death card, butterflies on the Page of Wands, a cat on the Queeen of Wands and squirrels on the Six of Pentacles). 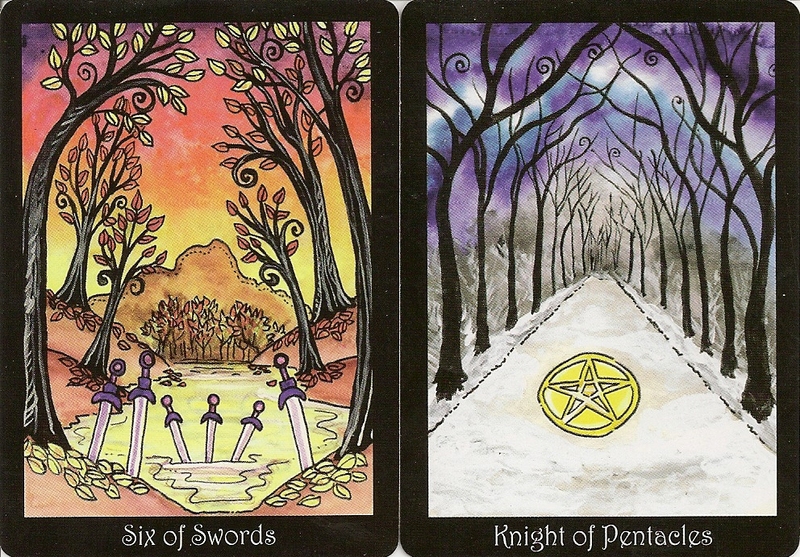 The Major Arcana are standard with the exception of the Hanged Man, which has been changed to the Inverted Tree. Strength is numbered 8 and Justice is 11. 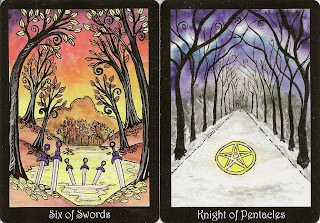 The suits correspond to the four seasons (Wands - Summer, Cups - Spring, Swords -Autumn, Pentacles - Winter). Card backs have a tree design with branches top and bottom that are fully reversible. They come in a small purple flap box typical of card decks. It's available without LWB as a deck only or as set with a guidebook. Mine is the second edition deck only.